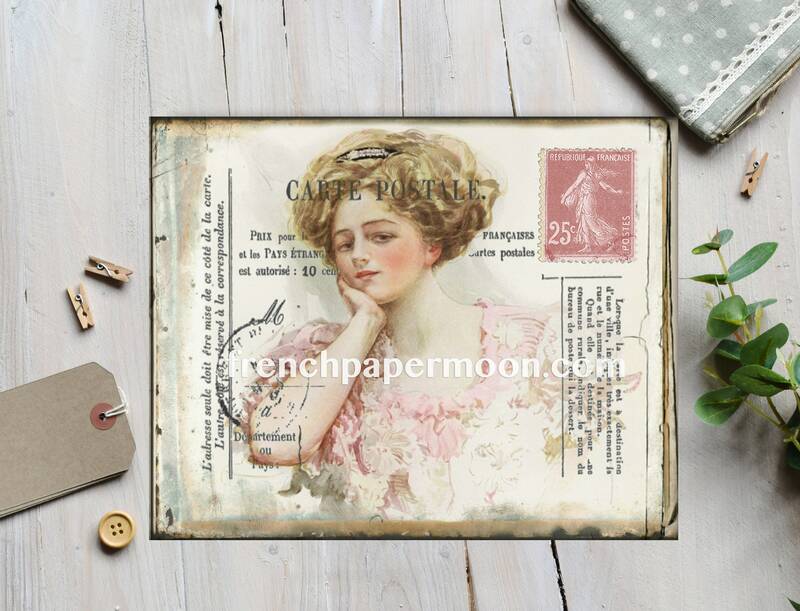 Gorgeous Victorian Woman, (Henry Hutt) on a vintage French handmade background with postal markings. Perfect for all your French inspired crafts. You will receive 2, 8x10" JPEG images, one reversed. 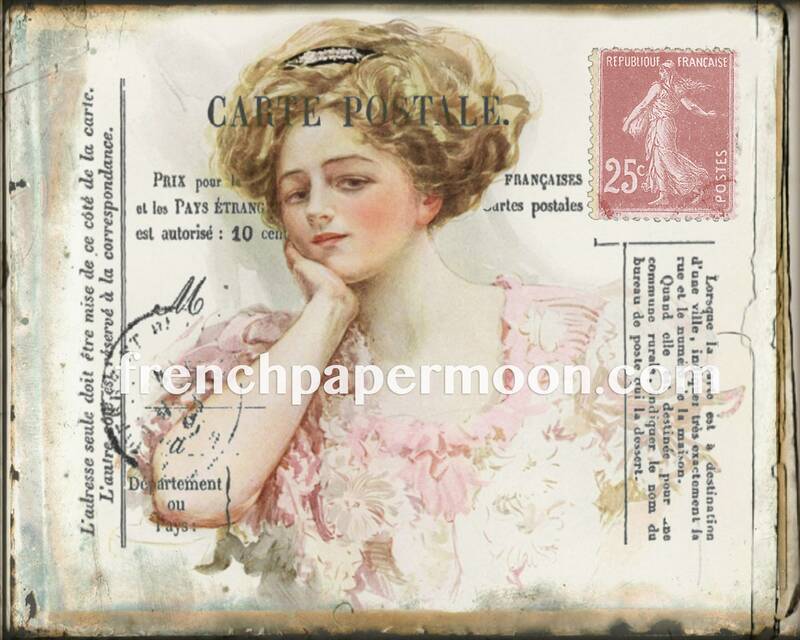 Instant Digital Download, french Digital Collage Sheet.